This oasis in the desert features the largest units in the Kimberley set in lush gardens! 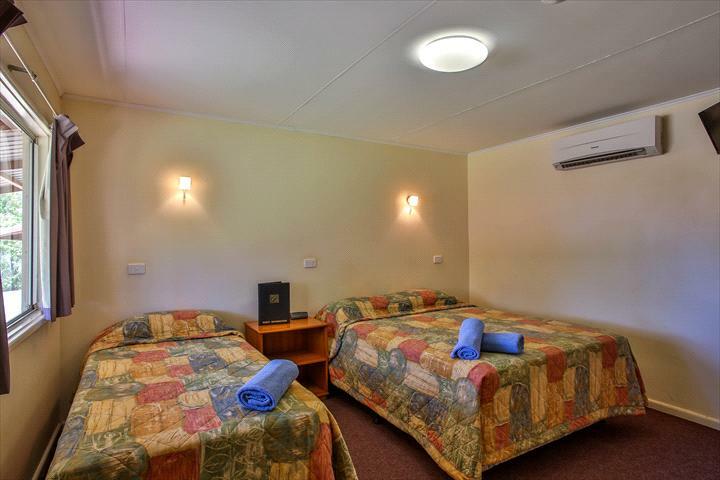 The Kimberley Hotel is conveniently located adjacent to the airport and approximately 500 metres from the town centre. 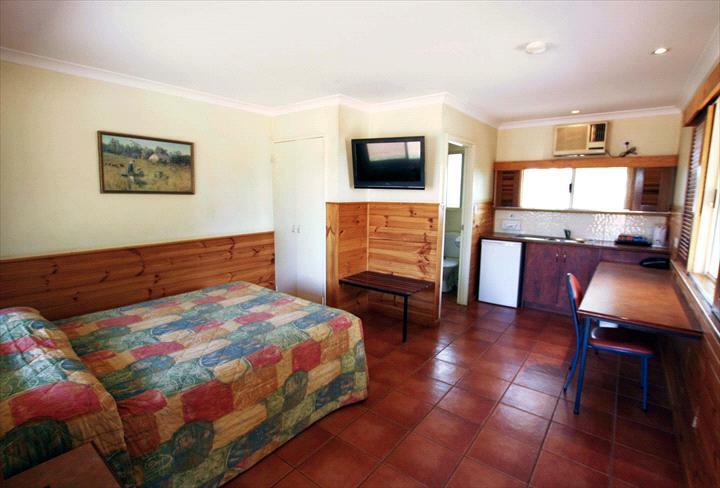 The Kimberley Hotel offers unique stylish accommodation featuring the largest motel units in the Kimberley. Set in delightful gardens, with verandahs and pathways connecting the accommodation buildings to the reception complex. Features include an attractive colonial style Sports Lounge, Saloon Bar, Cocktail Bar and a la carte restaurant. Extensive glazing compliments the adjacent swimming pool, spa and outdoor dining area. 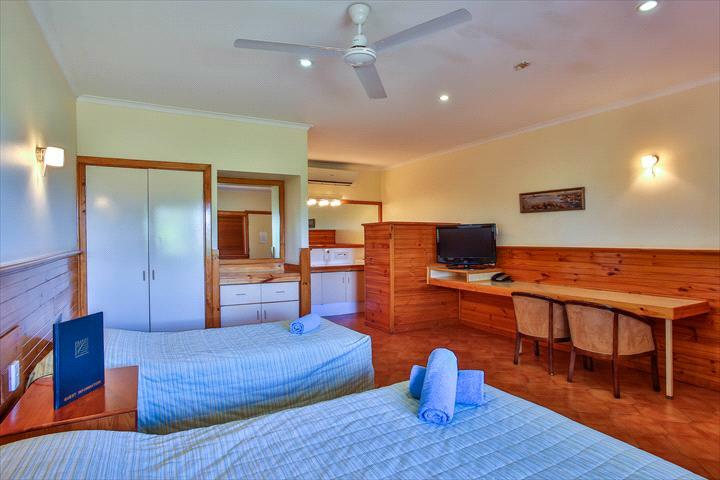 The hotel is a comfortable base to explore the surrounding goldfields, Wolf Creek Meteorite Crater or the famous Purnululu National Park. The hotel complex boasts great views of the surrounding country side. The room features include air-conditioning, TV with free to air movies and Foxtel, ensuite, tea & coffee making facilities, alarm clock, small bar fridge, iron and ironing board. The room features include air-conditioning, TV with Foxtel, ensuite, tea & coffee making facilities, alarm clock, hair dryer, small bar fridge, iron and ironing board, safe in wardrobe and telephone. The room features include air-conditioning, ceiling fan, TV with free to air movies and Foxtel, ensuite, tea & coffee making facilities, alarm clock, hair dryer, small bar fridge, iron and ironing board, safe in wardrobe and telephone. Cancellation policy varies depending on season. During dry season (April-October) customers can cancel up to 72hours prior to check in with no charge. If cancellation is within 72 hours of check in then guest will be charged for 1 nights’ accommodation. During summer season (November-March) customers can cancel up to 24hours prior to check in with no charge. If cancellation is within 24 hours of check in then guest will be charged for 1 nights’ accommodation.